D esign for Manufacturability is the practice of reducing product manufacturing costs while maintaining designed performance requirements. Several factors must be considered for effective design that allows for low cost production. Cost and availability of materials, finishes, etc. Simple or low-cost tooling, jigs, fixtures, etc. Atec strives to achieve the lowest cost of manufacturing while maintaining the design criteria and long-term usability. Familiarity by Atec, Celtech, Hager and Vital Link personnel with the Energy and Aerospace industries make our manufacturability review speedy. Atec’s engineering team works closely with our manufacturing group during the product design phase to ensure precise and repeatable manufacturing results. 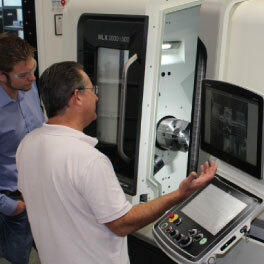 Atec maintains processes to continually evaluate products during subsequent manufacturing cycles, and updates product designs as new technology and manufacturing techniques evolve. Atec employs the best proven technologies. Atec is experienced with manufacturing using computer models and 3D printing. 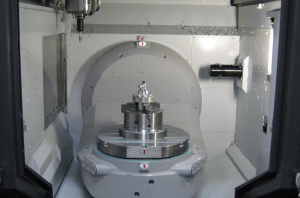 Our manufacturing team regularly utilizes native and general solid model formats, as well as design based definition in the production of machined components.